As one of the premier places to call home in North Palm Beach, it’s hard not to fall in love with the Water Club condos—one of the newest condominium developments in the area. Offering lavish amenities and interior features, luxury home buyers will go crazy for what’s offered here at Water Club. To learn more about what’s for sale here, call us today at (561) 951-9301 to schedule a private showing for a unit that's currently on the market! 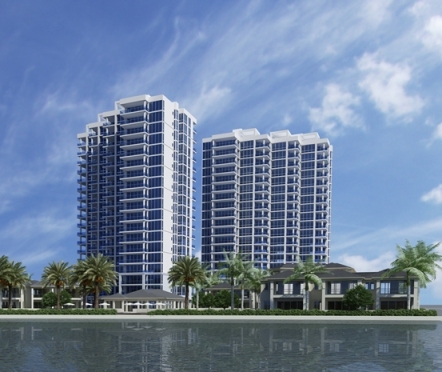 As of April 21, 2019 there are 10 ACTIVE condos for sale in Water Club with an average listing price of $1,571,800. The highest-priced ACTIVE property listing is $2,189,000, while the lowest-priced property can be purchased for $949,000. Condos in Water Club have an average price of $670 per square foot, based on listings with an average of 3 bedrooms, 4 bathrooms, and 2,346 square feet of living space. Search Water Club condos for sale in North Palm Beach, Florida below. As one of the premier places to call home in North Palm Beach, it’s hard not to fall in love with the Water Club condos—one of the newest condominium developments in the area. Offering lavish amenities and interior features, luxury home buyers will go crazy for what’s offered here at Water Club. For information about Water Club neighborhood properties for sale or to schedule a private condominium showing, contact your North Palm Beach real estate experts today. Read more about Water Club real estate. Amenities at Water Club in North Palm Beach include gated entry, covered parking for residents, additional storage space, private elevator lobbies with secured access and 24-hour security, a private 5,000 square foot clubhouse, a resort-style pool, and even a spa area with a lap pool overlooking the water. There’s also a state-of-the-art fitness center at Water Club – North Palm Beach, free wi-fi, and even a yoga/Pilates studio to help you make the most of the elegant and relaxing lifestyle associated with North Palm Beach’s most desirable condo building. Search all Water Club Condos for sale and MLS® listings below! For more information please contact Dylan Snyder with the Snyder Group at (561) 951-9301. Selling or buying a condo in Water Club soon? Call Snyder Real Estate Group at (561) 951-9301. Our community of Water Club real estate agents will help you navigate the Water Club North Palm Beach, FL housing market. The Water Club condos for sale in North Palm Beach, FL are among the most exclusive units currently on the local real estate market. Offering expansive layouts and unobstructed views of the water and surrounding North Palm Beach community, Water Club is the ideal living environment for luxury home buyers seeking an upscale, maintenance-free setting. Inside, Water Club condos boasts expansive great rooms, gourmet kitchen features, two individual terraces, and deluxe master suites that offer breathtaking panoramic views that are sure to never get old. Thinking of buying or selling a condominium in Water Club? Let our team of local real estate professionals guide you through the purchase of your next condo, or skillfully negotiate the successful sale of your current North Palm Beach property. As local Water Club real estate agents, we're experts on the North Palm Beach housing market dynamics unique to Water Club real estate. Our team of professionals will get to work for you today! Contact Snyder Real Estate Group today to learn more about our exclusive buyer or seller representation strategies. Plan to sell your Water Club condo soon? Visit our free condominium evaluation tool - quickly price your Water Club condo online in moments!